In 2017, US companies bought 4.8 gigawatts of renewable wind and solar power, and 2018 is on track to far exceed that, reported Bloomberg. Businesses across the globe are seeing the advantages of eco-friendly power: not only does it make them leaders in sustainability, but it also saves a lot of money. This is especially true of solar power. 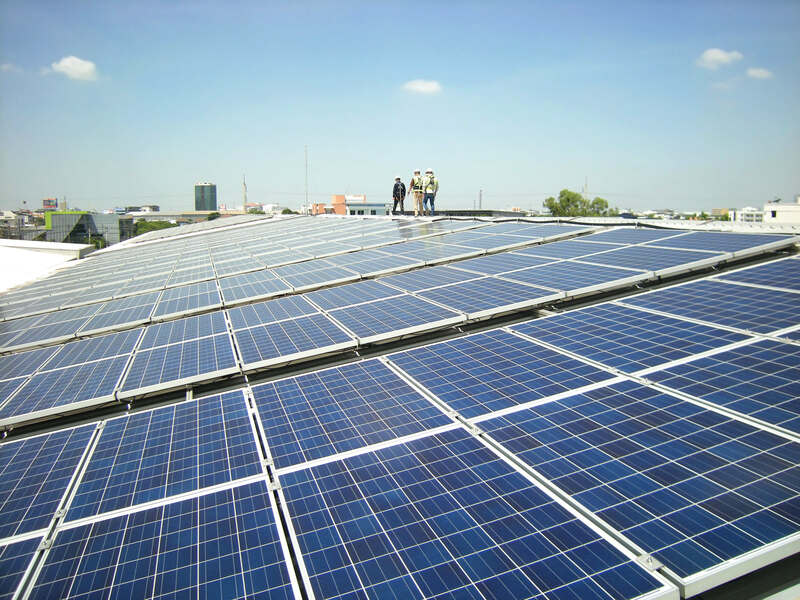 Businesses can take advantage of free energy from the sun to accommodate electricity needs in their commercial buildings while safeguarding their budgets from unstable utility power costs. In this blog, we’ll explore five reasons that explain why solar is great for business. Commercial power can be very costly. Depending on how many buildings you own, the size of your facilities, and the specific electricity demands of daily business, your monthly power costs can easily run into the thousands every year. Here’s where the value of solar comes in. A solar photovoltaic (PV) panel system will convert sunlight into the power you need. If your business is active during the day, you can run daily operations as you generate power...resulting in more cost-effective usage of energy. And of course, a grid-tied solar system allows your business to draw extra power from the electricity grid, should you need it. A customised solar system therefore represents major cost savings, letting you reinvest the savings into your business, and focus more on growth. If you’re fully tethered to the grid, you’re affected by the fluctuating costs of electricity in New Zealand. As the years roll on, power costs are expected to continue rising, while prices vary unpredictably from one quarter to the next. Reliable, monthly solar power generation means that, after installing and using your system for a few months, you’ll get a fairly accurate picture of your ongoing power costs. Looking to see exactly where the savings come with solar energy? Read here. Buildings that come with a solar system are attractive when they’re on the market. There’s a good chance you'll have a faster, easier time selling, and you may be able to do so at a higher list price. Why is this? Solar panels mean businesses can operate more profitably with solar, and handle operations with more predictability. Public awareness of renewable energy is growing fast. More consumers are supporting businesses that are helping to create an environmentally-healthy New Zealand. Solar power is a perfect opportunity for a business to stand out as a ‘green’ operation. When eco-conscious consumers see that you’re actively reducing your carbon emissions by going solar, more of them may buy from you. Solar panel systems are sturdy and reliable. Once they’re installed and fastened, the panels can operate virtually maintenance-free for years on end. In addition, commercial solar installations from World Solar are covered with a 25-year performance warranty. This means that, with our solar systems, you can rely on dependable clean energy for a long time without constant worries about servicing or interruptions in performance. Solar power has more benefits for business than you might have expected. It saves money and helps control utility costs, is low-maintenance, and makes your commercial building more valuable... all while showing you off as a principled, eco-friendly NZ business. Installing solar power is a great next step to give your business the edge today.